After making life-changing improvements to their cocoa farm, Grace and Nsololi empower other households to do the same. Nsololi lives in Talatala, a rural village in southwest Tanzania. 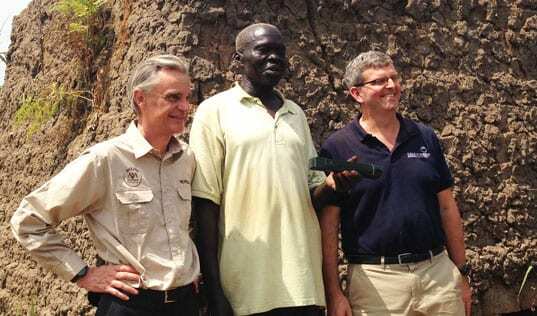 Nsololi spent the majority of his life as an infantry soldier before purchasing one acre of land in Talatala after his retirement in March 2004. Despite his limited farming knowledge, Nsololi started clearing his land and planting banana and cassava. He then shifted his attention to cocoa. “First of all, I didn’t know much about cocoa farming. Literally, I knew almost nothing. Cocoa was a crop that had been brought to the district so it was not a native crop, which means we did not know much about how to plant it,” he said. 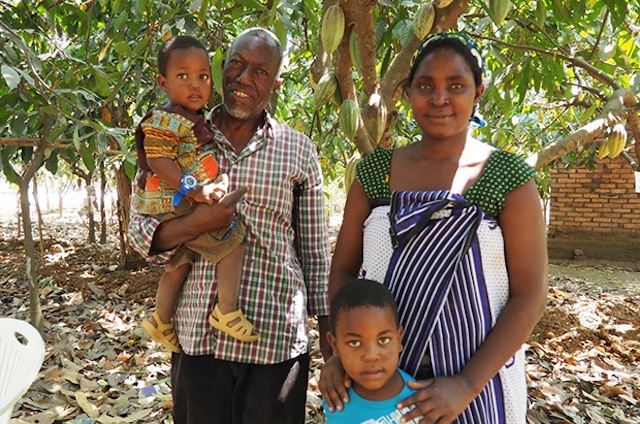 Nsololi’s trees yielded their first cocoa harvest five years later. As the years passed, disease and drought in the region plagued the productivity of his trees. During the first season’s production, most of the flowers and green pods prematurely fell to the ground. “I didn’t know if it was because of disease or drought or what. It was only later that I came to know the cause.” Nsololi discovered that the damage to his trees was actually caused by a combination of these factors as well as from insects. When planting cocoa seedlings, Nsololi mirrored other farmers’ planting techniques, resulting in the current zig-zag pattern of his cocoa trees that were planted at that time. 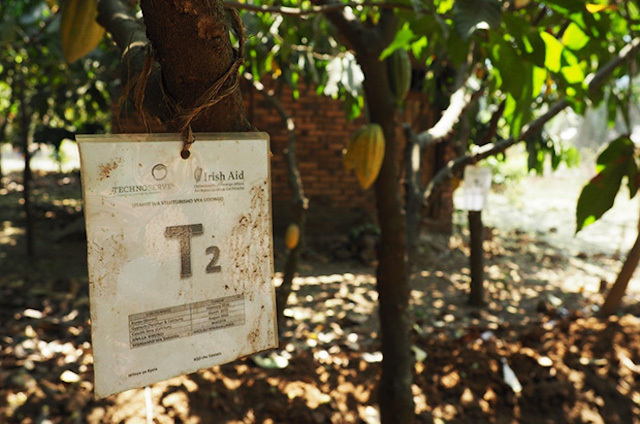 In early 2010, Nsololi joined the Cocoa Quality and Market Access (CQMA) program, a partnership between TechnoServe and Irish Aid, which aimed to improve the livelihoods of Tanzanian cocoa farmers by helping them increase yields and quality. The program provided training on good agricultural practices, post-harvest handling techniques, financial literacy and gender inclusion. CQMA also worked to build the capacity of farmer business groups and facilitate market linkages. My neighbors come seek advice on how to get quality cocoa and we share our knowledge to them for free. In 2016, TechnoServe utilized the results of a soil analysis to begin training farmers on organic inputs to increase both cocoa quality and productivity, as well as to facilitate linkages to a segment of the premium export market, which demands organic farming as one of the certification procedures. 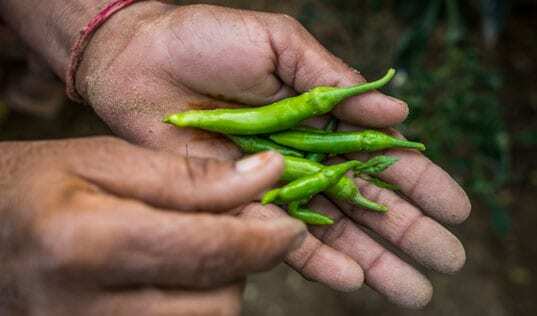 The majority of these trainings were conducted using demonstration plots so that farmers could get hands-on training on how to apply the inputs as well as witness the impact of the input used. Nsololi’s home was selected as the demo plot for testing organic inputs, such as the gypsum, borax and zinc sulphate, which are essential for cocoa bean yield, bean size, pod set increases and disease resistance. Twelve of Nsololi’s trees were selected for the demo and marked with white paint and labels listing the organic input used, while another twelve trees were selected as the control group. Over 14,000 farmers have been trained on good agricultural practices and basic business skills from 2012 to 2016. Of these farmers, 3,858 received training on organic soil amendments with treatment plots exhibiting a 20 percent increase in yield. Farmer incomes in Kyela District, where Nsololi resides, increased by 88 percent. 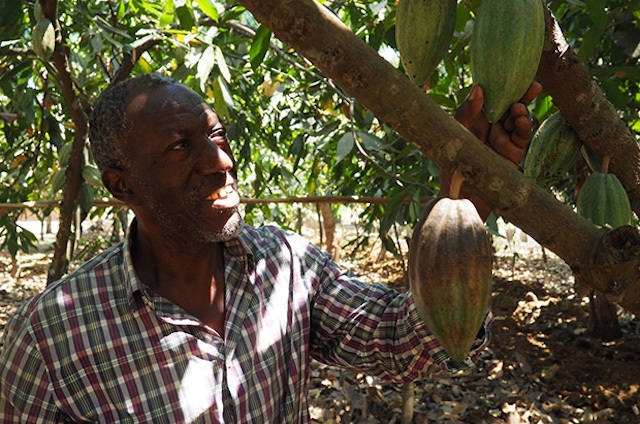 Nsololi is not the only member of his family that participated in the CQMA program and is sharing cocoa best practices in Talatala. His wife, Grace Msafiri Kyusa, was hired as a Farmer Trainer to lead the agronomy training sessions in the area. Grace’s father was one of the first farmers in the Kyela District to start planting cocoa in the early 1960s, so she had many years of exposure to cocoa production by the launch of the program. “It is now my wife who is advising me how to best reduce the rotten parts, how best to prune the cocoa trees and how best to replace the dead ones,” said Nsololi with a smile. As TechnoServe enters the final year of the CQMA program, Nsololi and Grace exemplify what can be achieved when cocoa farming households work together. 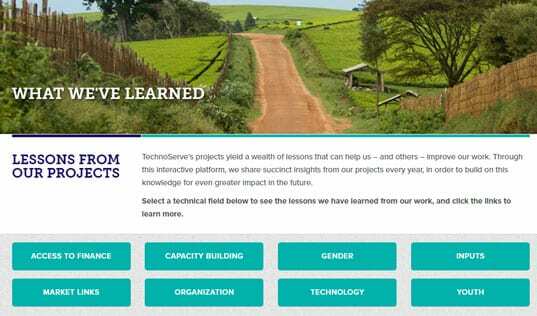 In the next phase, TechnoServe will train men and women in cocoa farming households to recognize women’s critical but often discounted role in cocoa production, in the hopes that empowered households will work together, plan together and make joint decisions on the use of cocoa incomes for betterment of the household.